Amazon’s new market strategy might affect Google’s Nexus tablet. After a good show of Amazon’s Kindle fire during the last holiday shopping season, Amazon is thinking of slashing the price of the tablet from $199 to $149. This tablet gave a great option for the customers in place of the iPad which comes at $500. However this honeymoon period seems to be over to Amazon as the sales have gone down considerably and above all Google is expected to release its own 7-inch Nexus tablet In the coming month. According to a report from rumormonger extraordinaire DigiTimes, the tablet price will be reduced by 25 percent of the original price. So from the next delivery we can expect the tablet with just $149. 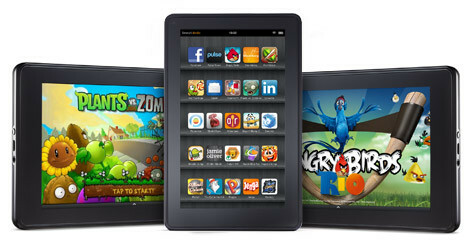 Amazon is all set to introduce the new 7-inch slate along with the 10.1 inch model as said by DigiTimes. It also claimed that the 7 inch model will have a display resolution of 1,280 x 800 pixels and will continue with the original $199 price tag. It is believed that this marketing strategy of reducing the previous generation tablet is taken from Apple’s book in order to capture its market share. This might also affect the market share of Google’s Nexus tablet.